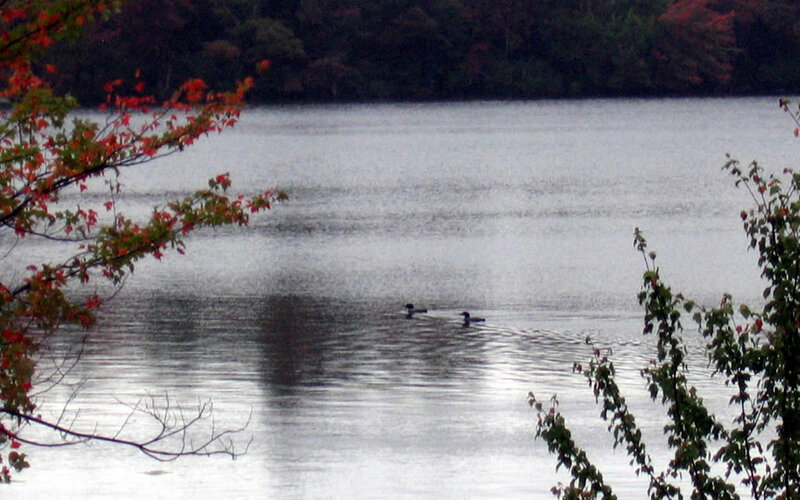 DESCRIPTION: A dark head and black, pointed bill distinguish the common loon from other loons. In the summer, the neck has two large, white patches striated vertically with black, a white breast and abdomen, and a black back geometrically spotted with white in lateral rows. During the winter, the plumage is like the juvenile’s—dark above with white below.